Use this System Design Document template to record the results of the system design process and describes how the system will satisfy the Requirements Specification. 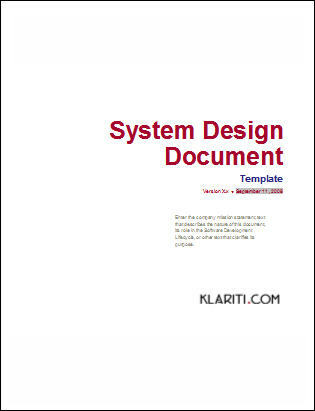 This System Design Document is a 22 page template in MS Word format, which can be easily modified for your next project. 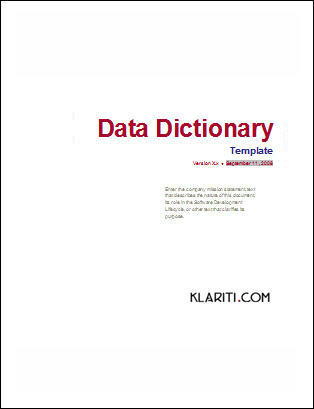 It also includes Free Requirements Traceability Matrix and Data Dictionary templates. Please see more screenshots and the Table of Contents below. The System Design Document (SDD) interprets the requirements into a description of the structure, components, interfaces, and data necessary to support the build process.